We are honored to work with SRW&Co. and to welcome AGLP participants to our campus, where they will have access to some of our most celebrated faculty and participate in stimulating conversation on key topics for both the ASEAN region and the global economy. The ASEAN region plays a critical role in driving growth in the global economy. To develop and inspire today’s global leaders, NYU Stern Executive Education welcomes regional management consulting firm SRW&Co. for their ASEAN Global Leadership Program (AGLP), hosted from April 16 - April 20, 2018. Since 2009, SRW&Co.’s ASEAN Global Leadership Program has been held annually at several top business schools in the U.K., China and the US. 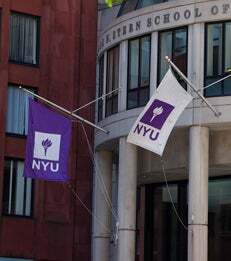 Serving as the 2018 host, NYU Stern brings the program to New York City for the very first time. Designed for corporate and public sector executives from a wide range of ASEAN organizations across industries, the weeklong program will explore four main themes: Globalization, Innovation, Entrepreneurship and Leadership. “Our program aims to foster deep, collaborative conversation with some of NYU Stern’s most notable faculty,” says Naomi Diamant, program co-director and assistant dean of NYU Stern Global Programs. “Our hands-on classroom sessions, including conversations with local entrepreneurs and company visits to a startup technology firm and financial institutions, are immediately applicable to business and reflect today’s fast-paced market,” explains Luke Williams, program co-director and executive director of NYU Stern’s W. R. Berkley Innovation Labs. Learn more about the ASEAN Global Leadership Program and SRW&Co. or download the registration form to sign up. SRW&Co. is a regional management consulting firm providing specialist services in designing and implementing a full range of integrated people management and development solutions. We also work in partnership with our global business school partners to design and deliver our flagship ASEAN Global Leadership Programs and also custom leadership development programs for our clients. Visit www.srwasia.com and follow SRW&Co. on Twitter: @SRWCo.